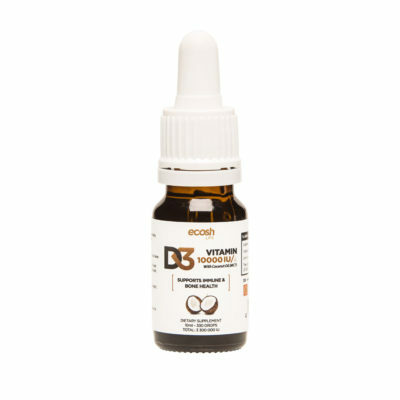 The vitamin D3 supplements produced in Estonia use MCT coconut oil as carrier. Vitamin D3 (cholecalciferol) is derived from lanolin produced from sheep wool. Liquid vitamin D is bottled in glass pipette dropper bottles. 10 ml bottle, 330 drops, 1 drop is 5,000 IU, total 1 650 000 IU (41,250 μg).